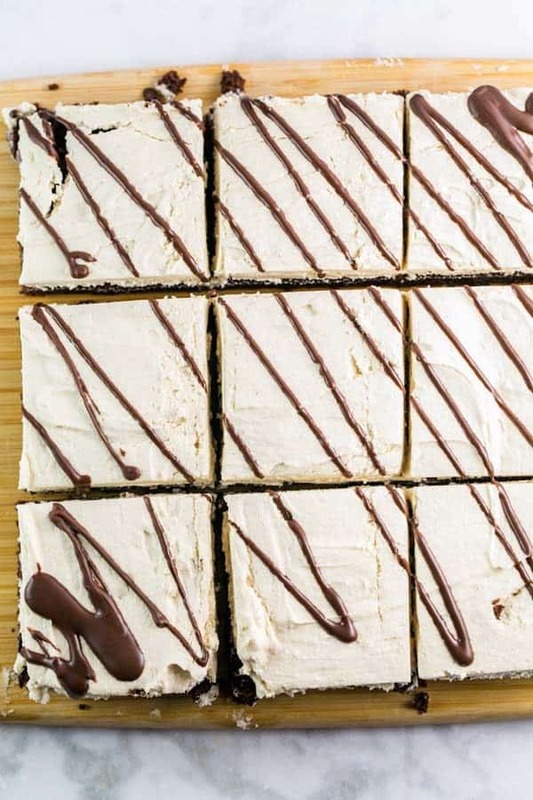 Elevate your brownie game with a thick layer of salted tahini buttercream. 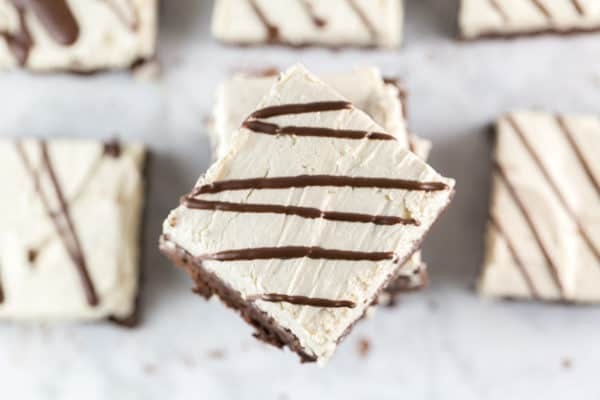 Lighter and fresher than peanut butter, with a subtle nutty flavor, tahini is the perfect flavor for thick, fluffy buttercream, topping easy mix by hand fudgy brownies. Guys, I have a problem. I’m pretty sure I have a legitimate addiction… to tehina. I can’t quit it. All summer long, I grilled chicken and covered it in a tehina marinade. This sweet potato kale chickpea bowl, covered with a tehina sauce, is one of my favorite winter dishes. I have literally had multiple dreams about the tehina shake from Goldie. And I have now made this salted tahini buttercream three times in a row, and smother everything I can with it (or uh, eat it out of the bowl with a spoon). Let’s back up a second, and talk about tehina/tahini. Same thing, different name. Tehina/tahini is a paste made from ground up toasted sesame seeds. Think peanut butter, except made from sesame seeds, rather than peanuts. Here in the U.S., we usually call it tahini, but in Israel and other parts of the Middle East, it’s known as tehina. 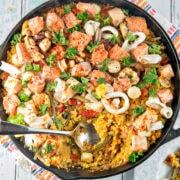 If you hear tahini and think hummus, you’re right! It’s a key part of many hummus recipes. But. BUT! Tehina is so, so much more than just hummus. Think about sesame seeds. You’d put them on a deli roll, right? 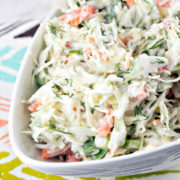 Or sesame seed cookies, or pressed into raw ahi tuna, or Chinese sesame seed dessert balls. Tahini works the same way: it can go savory or sweet. 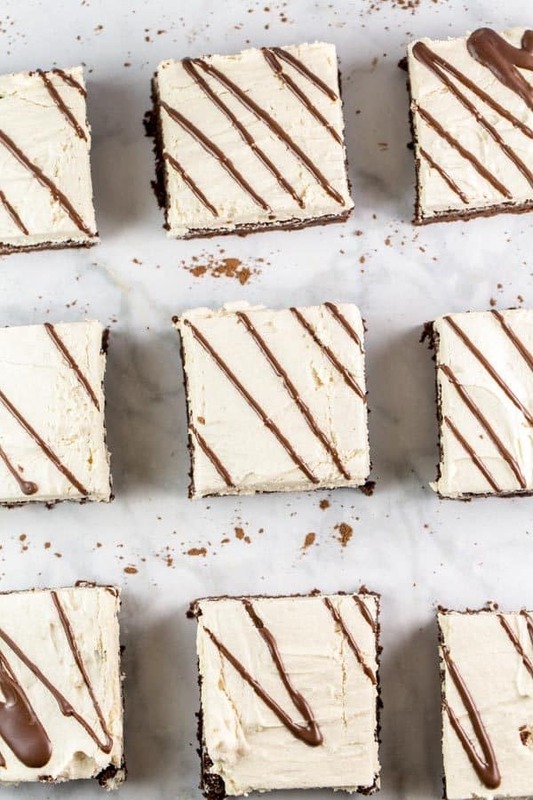 And today, we’re going sweet, with these brownies with salted tahini buttercream. I first made this buttercream for a Hanukkah dinner party this year as a topping for some dark chocolate tahini cupcakes. Truth be told, the cupcakes were forgettable, but the buttercream? Three people at our 11-person dinner party told me it was the best buttercream frosting they ever had. The best buttercream frosting ever, people. EVER. And as Americans, living a life full of cupcakes and cake, we tend to eat a lot of buttercream frosting. But this one here? It’s been deemed the best. So uh, what does tahini buttercream taste like anyway? It’s kind of like peanut butter… but a little more mild. This salted tahini buttercream pairs will with so many things and I promise, it will make appearances again soon around here. (Like I said, I might have a tehina problem.) 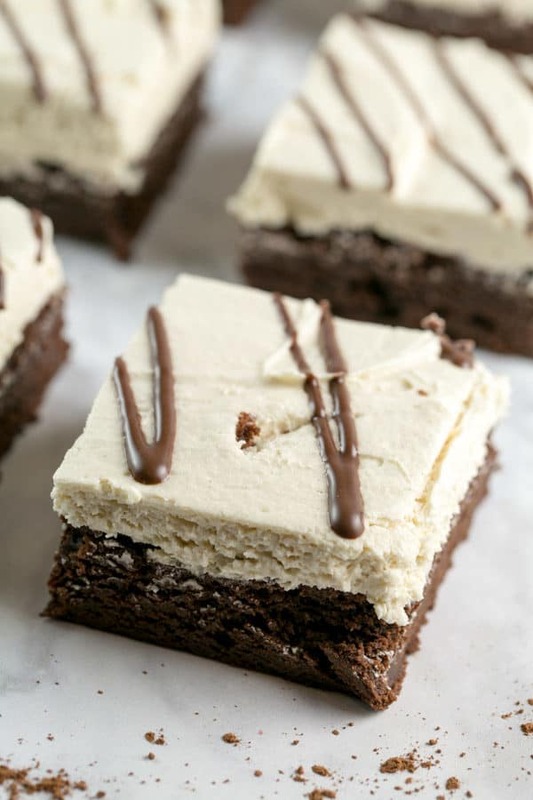 But for now, we’re kicking things off with brownies with salted tahini buttercream. 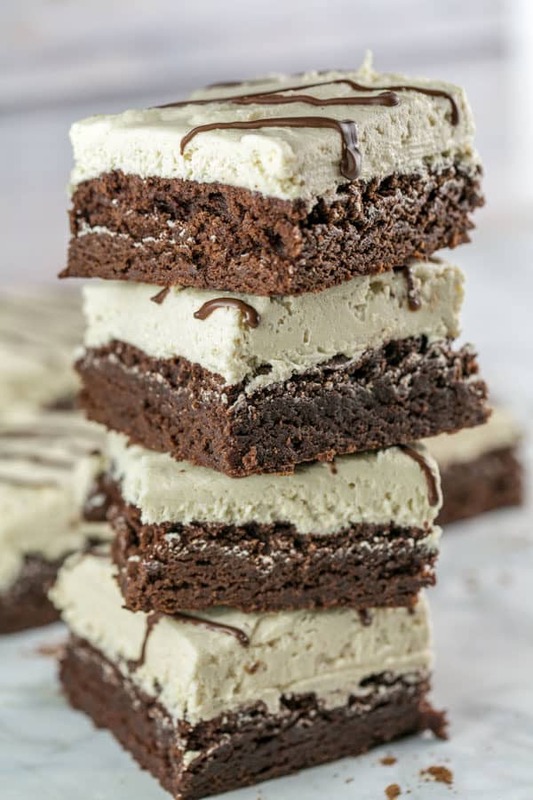 The easy, mix by hand, slightly fudgy brownies are the perfect pairing for this frosting. Chocolate is such a natural flavor for tahini (so perfect, in fact, that my favorite tehina company sells chocolate tehina!). Step aside, peanut butter frosting. There’s a new winner in town, and we’re showing it off with some brownies. 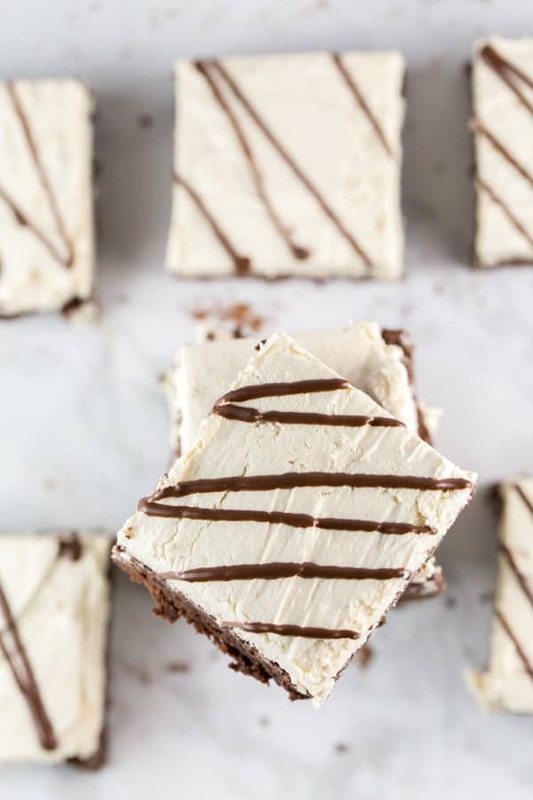 Brownies with salted tahini buttercream, to be exact. 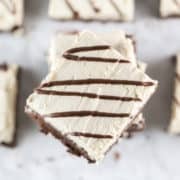 Lighter and fresher than peanut butter, with a subtle nutty flavor, tahini is the perfect flavor for thick, fluffy buttercream, topping easy mix-by-hand fudgy brownies. Preheat the oven to 350 °F. Line a 9″ square baking dish with aluminum foil, extending the foil over the edges to form handles, and grease the foil. Combine the melted butter and sugar together in a small bowl, whisking until smooth and shiny. In a large bowl, combine the eggs, cocoa powder, salt, baking powder, and vanilla. Whisk by hand for about 5 minutes, until well combined. Add the melted butter/sugar mixture to the egg/cocoa mixture, stirring until smooth. Add in the flour, stirring just until the flour is incorporated. Spread brownie batter in prepared pan. Bake 20 to 25 minutes, until a toothpick inserted into the center comes out almost clean. 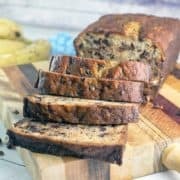 Leave at room temperature until cool. 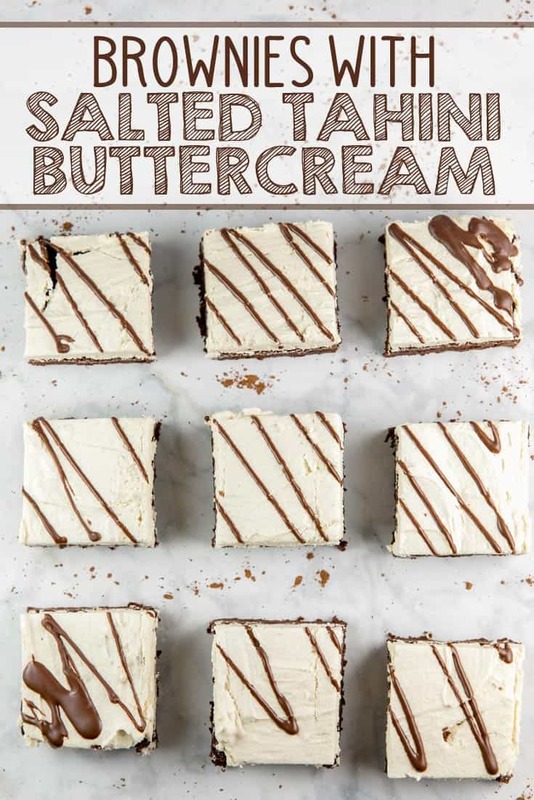 To make the buttercream frosting, combine the butter, tahini, and confectioners sugar in the bowl of an electric mixer and beat on medium speed until butter is light and fluffy, 3 to 4 minutes. Add in the salt and vanilla extract, then turn the speed up to high and beat an additional 1 to 2 minutes. 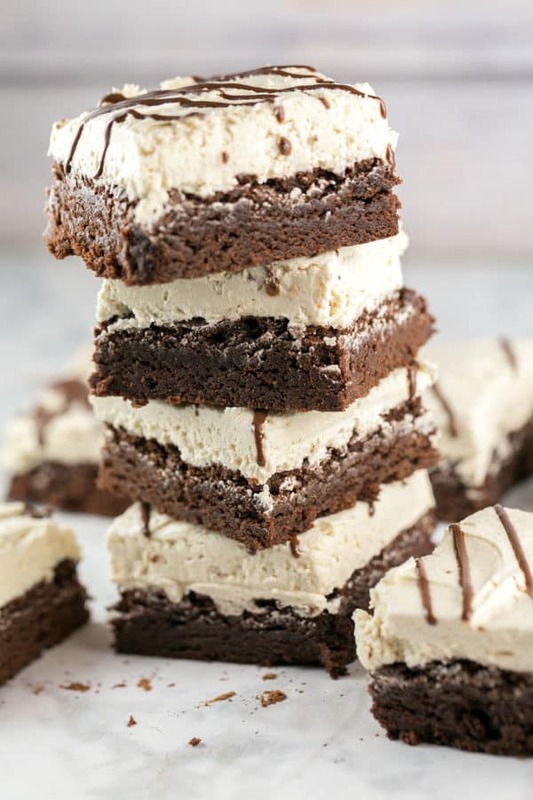 Spread the buttercream frosting over the brownies, drizzle with melted chocolate, and refrigerate for 30 minutes, just until frosting is set. Cut into 16 brownies. Brownies can be stored in an air tight container at room temperature for 2 days, in the refrigerator for up to 5 days, or wrapped in foil and stored in a freezer safe bag for up to 3 months in the freezer. Glad to find this upgraded brownies version ! Keeper, definitely ! ©2019 Bunsen Burner Bakery. Design by Purr.